If you’re a Amazon Prime member, you’ll want to check this out! 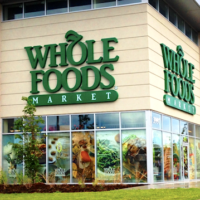 Starting July 11th through July 17th, make a single purchase of $10 or more at Whole Foods and you’ll get a FREE $10 Amazon Credit! You’ll be able to use your $10 credit during Prime Day and valid through July 18th. Limit one per customer.